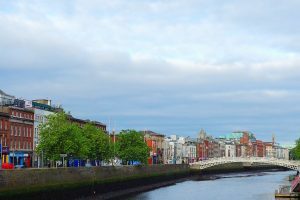 The west coast of Ireland is a magical place and home to many stunning sights such as the Cliffs of Moher, Burren, Connemara, Ring of Kerry, Dingle Peninsula and others. The easiest way to explore the west of Ireland is to follow the Wild Atlantic Way – one of the longest coastal routes in the world. The attractions located on this route are the busiest because most visitors don’t have much time as they try to see as much as they can on their short holiday and they just follow the Wild Atlantic Way. But there are many interesting places situated a little further that are worth the detour. 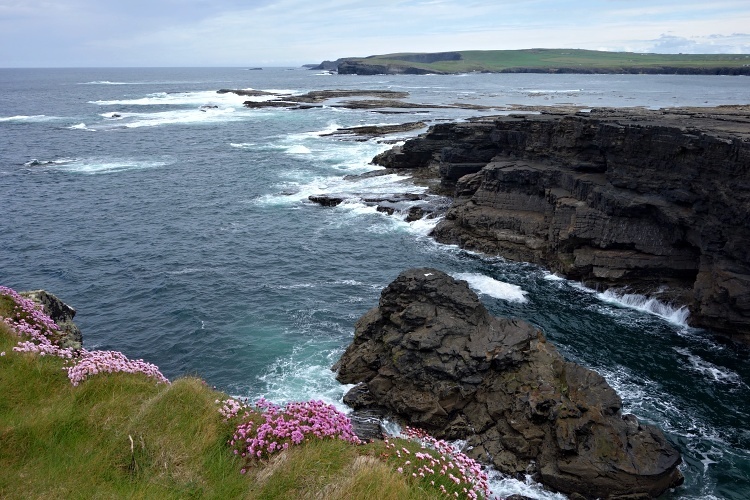 One of these is the Loop Head Peninsula in County Clare, which is skipped by many travellers. We explored the west of Ireland many times while we lived in Dublin but we didn’t find the time to see this beautiful part of the coast until our last trip. 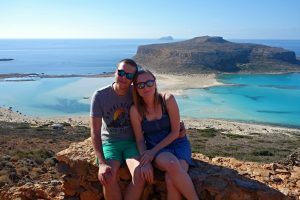 If you are looking for unspoilt and dramatic coast without the crowds and/or you are a nature lover, don’t miss this area – you can follow our tips to make the most of your visit. 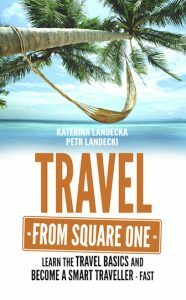 The best way to explore the region is to rent a car because public transportation is limited. The area is very scenic and great photo opportunities are behind every corner, so allow more time for travelling and exploring the place. If you aren’t comfortable with driving on the left-hand side of the road, get a smaller car because most local roads are very narrow. We suggest dedicating a full day to exploring the peninsula if you can. 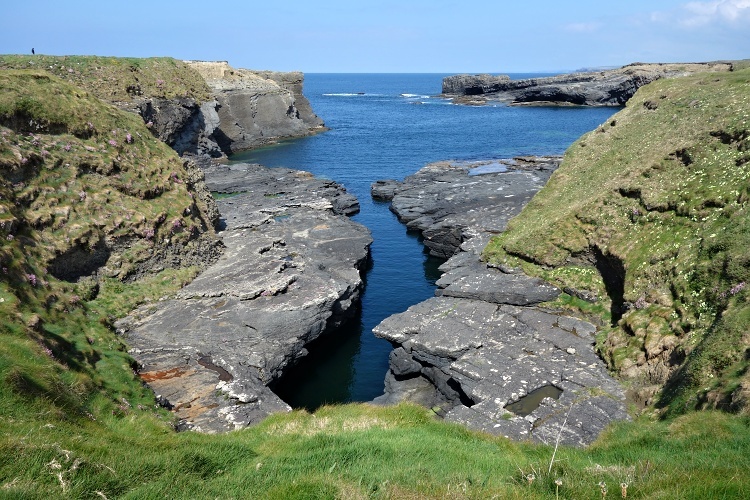 The navigation isn’t difficult – just head south from Kilkee and follow the main roads. You can download the map including the local landmarks here – the route is called the Loop Head Drive. 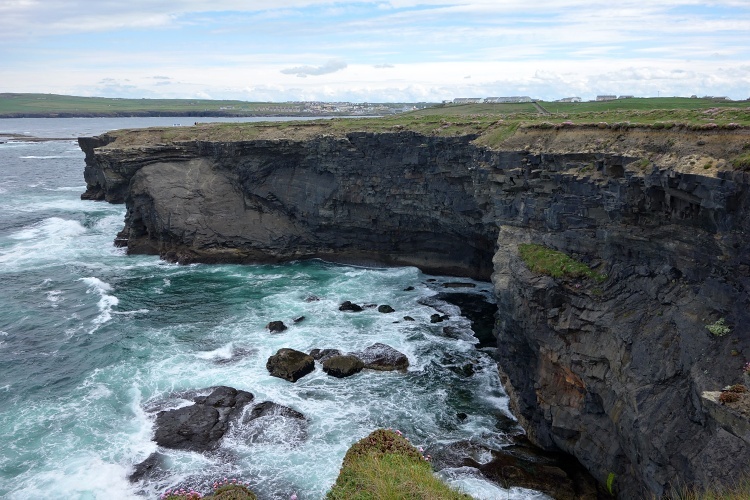 Kilkee is a small seaside town and is a great getaway for exploring the nearby Loop Head Peninsula. 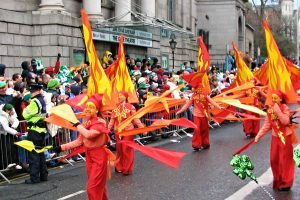 It’s also just about an hour drive from the Cliffs of Moher, Burren National Park and Doolin, which is the port where boats to the Aran Islands are based. The closest airport is Shannon Airport and it takes about an hour by car to get to Kilkee from there. The driving distance from Dublin is about 300 km (187 miles) and it should take you about four hours (depending on how many stops you are going to make on the way). 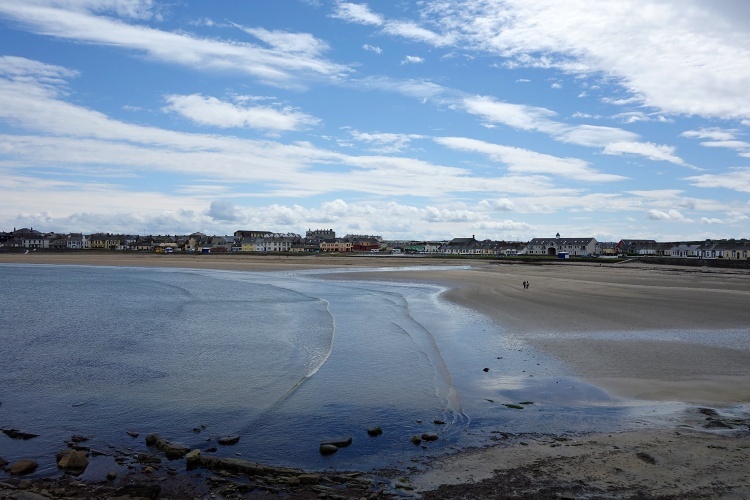 The town itself is quiet for most of the year but it gets busy during summer when many holidaymakers arrive here because Kilkee is a popular seaside resort well-known because of its Blue Flag beach. 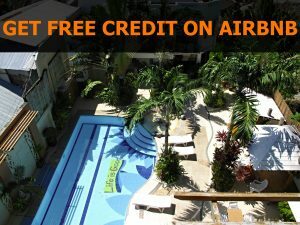 The accommodation is limited so book ahead if you are travelling in high season. Most cafes, shops and restaurants are located along the main street. We had a nice dinner in Naughton’s Bar – it’s a lovely local pub and restaurant. Check out the Diamond Rocks Cafe for great views of the coast. The Cliff Walk was our favourite part of the stay in Kilkee. The access is free and it’s an easy walk along the coast – just follow the path that starts at the Diamond Rocks Cafe. 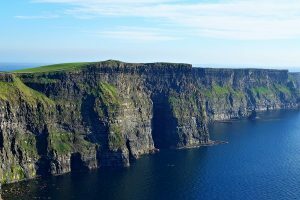 Even though the cliffs aren’t as high as the Cliffs of Moher, they are as beautiful but less crowded, which makes all the difference – you can soak up the atmosphere of the rough Irish coast uninterrupted. The cup of tea in the Diamond Rocks Cafe tastes so good after the walk! The very tip of the peninsula with its lighthouse and rugged coast has the potential to be the highlight of your trip. It takes just about half an hour by car from Kilkee. 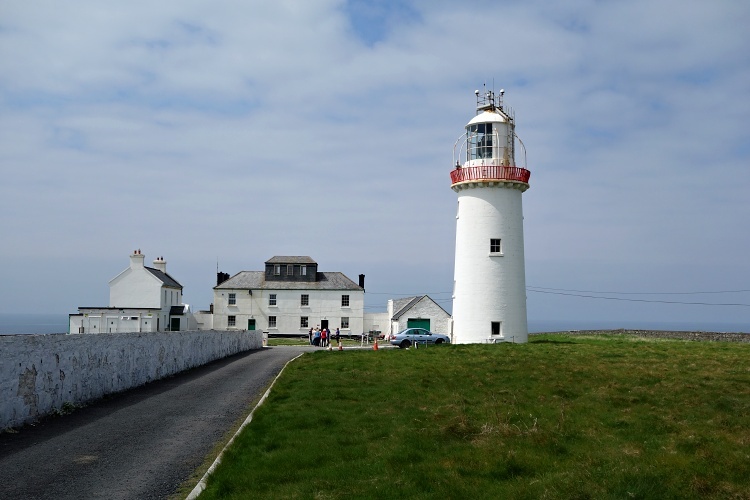 The cute Loop Head Lighthouse is worth visiting, it is 23-metres (75-feet) high and was built in 1854 – its operation is automated now. Join the quick tour to see how the lighthouse works, learn more about the area and enjoy the views from the balcony. The lighthouse is open to the public every day from March/April to November – you can verify the updated information here. Be prepared to queue at weekends during high season – there isn’t much space inside the lighthouse so only a few people can go up at the same time. We were there on a weekday in May and we didn’t have to wait at all because there were just a few people visiting. Check out the exhibition on the history of Irish Lighthouses in the Light Keeper’s Cottage located next to the lighthouse tower. There are many walking trails on the peninsula but if you don’t have much time to spare, take a walk at least along the coast surrounding the lighthouse. Turn left at the entrance to the lighthouse grounds and follow the fence downhill towards the coast. When you get to the sea, turn right and follow the grass path to walk the full circle along the coast and come back to the lighthouse. We have good news for fans of Star Wars! Some of the filming for Episode VIII of Star Wars took place in the area, which makes the place even more special. When we were there some filming equipment was still on the spot but we didn’t see any actors or crew. The 60-metres (197-feet) cliffs at the edge of the peninsula are a paradise for bird watchers because they are home to colonies of guillemots and kittiwakes. 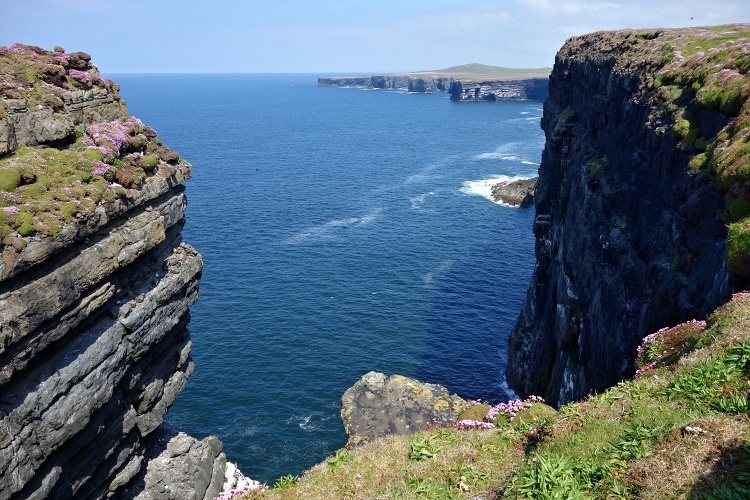 The majestic sea stack located nearby is known as Diarmuid and Grainne’s Rock and is inhabited by thousands of various birds – it’s fascinating just to quietly sit down and watch them. The spot is called Lover’s Leap and the legend says that lovers used to leap onto this rock to escape their jealous exes. This was our favourite place and we spent a while by sitting on the grass and watching Mother Nature in action. 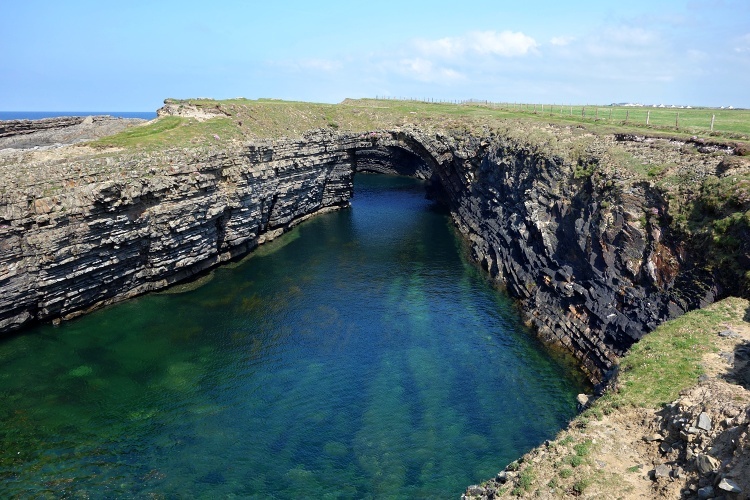 Don’t miss the Bridges of Ross on the way back to Kilkee, it’s just a short drive. There used to be three natural sea arches but two of them have collapsed over time so there is only one left now. This short but rewarding walk starts at the car park. It’s another place great for bird watching and the rugged coast is spectacular. These are just the highlights but there is so much more to see and do in the area – there is something for everyone. 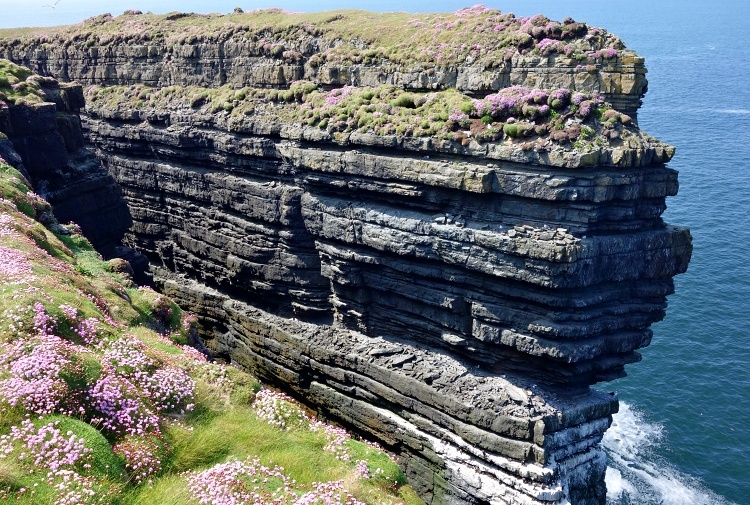 The Loop Head Peninsula is a beautiful place but your experience will depend on the unpredictable Irish weather. Be prepared for any type of weather so that you can make the most of your visit. We were lucky that we got a sunny day when exploring the peninsula and the Loop Head Lighthouse but we didn’t have such nice weather in Kilkee so we couldn’t finish the Cliff Walk trail and had to come back early. However, the Loop Head Peninsula is an interesting place to visit in any type of weather because you can experience the real Ireland here and this is so special. Did you like this article? Please share it, so more people can experience this beautiful place.